Whatever you're looking for, big or small, we have the perfect bespoke solution that's made for the trade. Basically Trade is a proud trade supplier of complete bespoke kitchens and bedrooms as well as a manufacturer of made-to-measure cabinets and carcasses that are perfect for any project. We are a friendly, family-run firm completely committed to quality that has been trading for more than ten years. We work with companies of all sizes, whether you're looking at complete retrofit projects, new build contracts or simply seeking the finest replacement wardrobe doors. From our state-of-the-art 6,000sq ft. premises in Padiham, Lancashire, Basically Trade supplies architects, builders, joiners, specifiers and shop fitters throughout the UK and beyond. Our simple-to-fit bedroom solutions and complete kitchens have been specified in destinations as far flung as Hong Kong, because we go the extra mile to ensure our discerning trade customers get the service they deserve. To make things as simple and efficient as possible, we are happy to arrange national and/or European delivery. Basically Trade uses the latest machinery, from German industry leader Homag, to manufacture our own high quality kitchen carcasses and bedroom carcasses, right here in the UK. This state-of-the-art kit means our customers (and theirs) can benefit from the highest levels of precision and efficiency. We have invested in the most technically advanced CNC systems and edge-banding machinery to ensure that we offer consistent quality, time after time. However awkward the dimensions may be, our kitchen and bedroom carcasses are designed and built with passion and precision. Because we manufacture our own kitchen and bedroom carcasses, we can vouch for their quality - which allows us to offer a reassuring ten-year guarantee. You can also illustrate your 'eco credentials' to clients by fitting our products, safe in the knowledge that we use only sustainably sourced timber and MFC products. Why not arrange a meeting to discuss your cabinet and carcass requirements? We'd be happy to discuss how our technology can help your project move smoothly from concept to completion. There is no job too big or too small for Basically Trade; our reputation rests on every product we provide. From simple replacement wardrobe doors to complete bespoke kitchens and made-to-measure bedroom carcasses, you can be sure that your clients will benefit from the finest quality craftsmanship every single time. Everything we supply is built to your exact specification, and we pride ourselves on helping our customers tackle even the trickiest projects for their clients. With decades of industry experience, we are well placed to offer unique solutions that other suppliers might not have the skills to provide. Our recent investment in precision machinery and new premises allows us to continue offering unrivalled service to customers, both old and new. Whether it's a modest refit, replacement kitchen doors or a complex, completely bespoke project - we're here to offer all the technical support and guidance you could possibly need. We're happy to advise on even the most awkward projects, with no obligation. So give us a call to discuss your next contract. See examples of some unusual projects we have assisted with, on our case studies page. Kitchen Doors, Bedroom Doors, Replacement Wardrobe Doors and more! Basically Trade has a huge range of solid timber doors or veneered doors for you to choose from. We can design them to meet the specific, unique requirements of your project, whether it be a palatial bedroom with huge sliding doors, a complex kitchen with curved corner doors or replacement wardrobe doors for a refreshing new look on your refurbishment project. We're proud to be a distributor of the coveted Bella brand, for vinyl-wrapped kitchen and bedroom doors. Whatever type of doors your client requires, we can help. Basically Trade supplies a huge range of replacement kitchen doors and replacement bedroom doors; from modern MFC and bright vinyl-wrapped options, to the luxury finish of hand-painted solid timber doors. Basically Trade offers a wide variety of made-to-measure and standard-sized kitchen carcasses, bedroom carcasses, bathroom carcasses, media cabinets, cabinets for shop fitters all made on site, right here in Lancashire. Basically we cater for any room in the house. 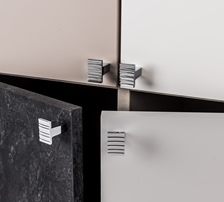 Cabinets can be colour coded to match the chosen doors (or solid timber doors where appropriate) and plinths, along with 2mm PVC edging tapes, so your project has a perfect finish throughout. With Basically Trade, there's no compromise on quality: our units are 18mm throughout, including backs. We use high quality Blum fittings as standard, which come with a lifetime guarantee. To simplify your workload and save valuable installation time, all units are supplied fully assembled using rigid cam and dowel construction. Base units have adjustable height legs and wall units are fitted with adjustable fixing brackets. We can even offer solid timber dovetailed drawer boxes in timbers such as Oak, Walnut, Beech, Maple and Birch plywood. Find out more on our carcasses page. We'd love to talk to you about any upcoming projects, with absolutely no obligation. Perhaps we can simply provide a couple of awkwardly sized replacement wardrobe doors? Or help with bespoke cut-out shapes for your next installation of kitchen carcasses? Whatever you're working on, you can be sure of helpful, no-nonsense advice from an experienced UK trade supplier. Our quality control systems are second to none, contributing to the many word-of-mouth recommendations that bring tradespeople repeatedly to our door. Quality and customer satisfaction are the cornerstones of our business, so why not build your reputation on ours? We work on a supply-only basis and all our products are manufactured to offer simple and straightforward installation. For a made-to-measure solution that will help you and your business, get in touch for an informal chat about your requirements.